Or, as it’s informally known: getting past the paywall. Occasionally I write about stuff that might be useful to other researchers, but also lets non-researchers see a little of what bugs some of us researchers! All but a relatively few (biological) science research journals require you to subscribe before you can get the research papers. Subscription fees can be hefty. Let’s look at a few of the options, in particular Unpaywall, and Sci Hub, before looking at the some of the limitations of the traditional ways. Unpaywall is a new browser plug-in that finds legal open-access copies of the papers, or preprints, that the authors have uploaded for you, without you having to hunt around for them. When you open a page showing a research paper, it’ll head off looking for the PDF and show you an unlocked icon if there is one. If you click on the icon, it’ll open the PDF for you. The small, grey closed lock after the citation for the paper; it indicates these papers are only available to subscribers. On opening the abstract (summary) for the paper, Unpaywall offers a green unlocked icon on the right-hand side – indicating it’s found an open copy of the paper. 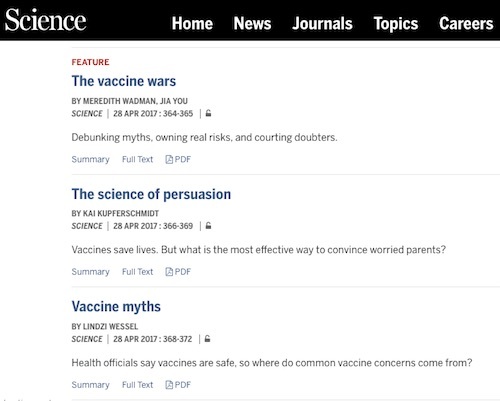 If you wanted to learn more about Wadman and You’s take on the ‘vaccine wars’ you can click on the green unlocked icon to get a PDF of their paper. Unpaywall is available for Chrome and Firefox. It also works with Vivaldi, the web browser I currently use. You also get to bear in mind the limitations of working from preprints, if that’s what you’ve ended up with. It’s developed by a non-profit, ImpactStory, backed by research grants from the (USA) National Science Foundation and the Alfred P. Sloan Foundation. I’d like to see the reference database tool I use, Zotero, “automatically” head over where Unpaywall indicates a PDF copy of the paper is, and pull it in for me. This is not as bad as it looks, but a one-step operation would be nice. You can install OA Button along with Unpaywall. If you look in the top-right corner of this screen of my Vivaldi browser, you can see I have Zotero, Unpaywall and OA Button installed (in order, from left to right). Of course, we’d also like more scientists to make their papers available! Some tips for making research papers legally available might include those offered at Green Tea and Velociraptors. Scientists can help by putting pre-prints (or reprints) of their papers into archives that Unpaywall and other services can find. You can index your work in a number of science networking services, such as setting up a Google Scholar profile, using Science Open, and so on. Dissemin is another effort offering a means to disseminate your research to a wider audience. A number of countries or funding sources are making open access publication mandatory; these initiatives are also organising how to make the papers available. Some might choose to publish first via a preprint deposited into bioRvix if you’re a biologist, or arXiv if you’re a physicist, mathematician, computer scientist or a number of other fields. Not all biology print journals will allow this; by contrast physics has been doing this successfully for a long time. 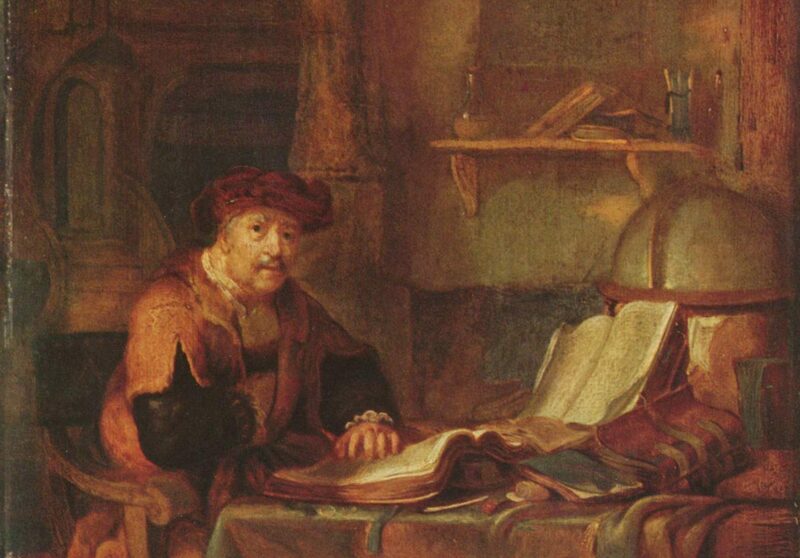 Some journals may of rights allow you to host the final draft someplace – it won’t be the final published version, but hopefully still useful to those without access. For biologists yet another preprint service is under development, backed by the Helmsley Charitable Trust. Another resource for biological sciences is PubMed Central, which hosts freely-accessible copies of papers published elsewhere (as the journals permit). I have no experience with these services! — you’ll want to hear from others as to which are appropriate for your needs. (The few papers I am able to release as a consultant have been published in open-access journals.) Readers are welcome to share their experiences with these services. Research findings will be disseminated without delay, which is especially crucial during public health emergencies and crop losses caused by drought or pests. If you don’t mind simply barging in and grabbing copyrighted content hosted on a server, there’s Sci Hub. Potentially Sci Hub might be shut down from legal challenges, but the other access initiatives should not have legal issues to face. It’s unlikely the Zotero and other bibliographical resource developers will include access to Sci Hub for this reason. While Sci Hub itself might avoid legal challenges, at least for a time, these development teams may understandably feel they’re a soft target for the publishers. There’s a discussion on the Zotero forums on this for those interested. Writing (by email) for a copy of the paper from the corresponding author has long been the way to get a copy of papers. Most researchers are good about this, although the time of responses is erratic. Some—a surprisingly large fraction of them—never do reply, presumably the task falls off their overly-long to-do list. I still write on rare occasions – mostly when the research is very close to my own interest, using the opportunity to introduce myself. That aside, it can be useful to write to one of the more junior authors, as they may have more time to respond, and may be happy that someone has engaged with their publication. In times now long gone, you wrote and asked for a physical reprint of the paper, which arrived by postal mail. I still have a few of the reprints from my main paper from my PhD thesis. Library interloan is another option, essentially a photocopy source from another library in the country that has access to the journal. This, naturally, requires physical access to, and membership of, the library. I’ve learnt to my chagrin over the years that university libraries are surprisingly ‘closed’ affairs. You’d think that libraries institutions of learning would be promoting that learning, but in practice electronic copy licenses can be a limiting factor for those that are not a member of the host institution. Haemophilia – towards a cure using genetic engineering Using ‘designer’ zinc finger proteins to insert a working copy of a missing gene. C’s founder is no more Explaining to non-geeks why Kernigan’s passing means much to those in the computer science and computing industries. A small amount of the content of this article is lifted from the Unpaywall FAQ. I’ve quoted these for correctness, even though it makes for messier reading. Sorry, but I don’t want to be accused of plagiarism, innocent as it might be. 1. A very few research journals are really run as “news” magazines; these offer cheaper personal subscriptions. Other journals do offer personal subscriptions, but they’re a lot of money for one person to pay. 2. I’m currently trying, rather slowly, to work on a couple of longer science communication efforts. More time than I’d like is lost on simply getting hold of the literature in a reasonably timely fashion; often it’s not possible at all. 3. The exception being a book chapter that took so long to get published that it was basically out of date by the time it was available — perils of writing chapters in a fast moving area (work on the 3-D structure of genomes). Thanks Grant for this. I was unaware of Unpaywall. Readers may find ResearchGate.net useful – Authors can create their own profiles, upload pre-prints, post-prints etc depending on agreements with publishers (apparently >12M members to date). Perhaps more useful is a v easy way to request from authors papers. There are also some discussion forums etc which are useful for some. Thanks John. I was going to include ResearchGate in that list, but I’m not sure if Unpaywall can see their content or not. ResearchGate can be useful used ‘manually’. There is some argument online (e.g. on Twitter) as to if there really should be just one biology preprint server.